Are you confused to determine that which instant camera should you buy even after having in-depth research on instant cameras? If it is so then, you’ve landed the right place. First of all, I bet that you would agree with me that even in this latest era of Smartphone instant social media uploads, snapping a photo and printing it within seconds is still something spectacular that people love to enjoy. I agree that these snaps won’t have any likes or comments, but they’re meaningful nonetheless. If you’re looking to buy an instant photo camera, take a look at our comparison of two modern, traditional models: the Fujifilm Instax Mini 8 and the Polaroid 300. If you’ve been doing some research on instant cameras, you’ll have probably seen both the Polaroid 300 and the Fuji Instax Mini 8. It’s mostly hard to find the difference in them as they both look similar. Specs Comparision: What’s The Difference? Both these cameras do not only target the same audience, fans of old Polaroid cameras, but they also share many features. Apart from the visual styling, they appear to be the same camera under the skin. They both are fun accessories that do not require any professional photography skills and only basic photography skills are enough to operate them both correctly, yet precisely the core nature of both the cameras makes it difficult to take a perfect shot each time. 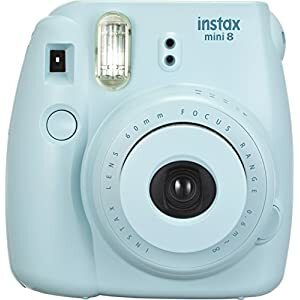 Fujifilm’s Instax Mini 8 is not only a cheaper option but a good alternative to the much more expensive Polaroid cameras. In most cases, its features are a bit different that Polaroid cameras have to offer with the lesser price. The fact that the lithium batteries it uses can easily be found online, is another point that makes it a better choice. Instead of thinking about the durability you can have the comfort that you can get a replacement anytime you might lose the battery. The size and weight of the camera make it very portable. So you can carry it with you anywhere and can easily get the picture and instantly have a hard copy as it fits in any purse or even small bags. On the Contrary, there are a few negative things that you need to know about it. You need to focus on these aspects as well to make an informed decision. When it comes to the quality of the images, it’ll be more time-consuming in testing how the photo results are affected by the lighting. Some would claim that before mastering that how to use it, they have wasted a lot of films. However, the skills and knowledge of the user play a significant role in it. It is unable to create the clear copy when taking close up photos. People have also reported that the viewfinder is not that accurate as well. Additionally, it gets difficult to take clear photos under the low light condition as the LED flash is not as bright as it should be. It works excellent in daylight, and its print develops under a minute. It’s easy to use, even for children. Its image quality is impressive, and the photos are vivid and detailed. There is little freedom in shooting as its film is so expensive. Its motion shots are often blurry. Some shots will come out too dark. With over expose, washed-out pictures the shooting is often disappointing. The camera does not handle the landscapes nicely and is mostly suitable for portraits. The camera might feel a bit uncomfortable to hold. 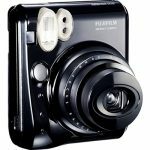 The Fuji Mini 8 has a twist dial around the lens, whereas the Polaroid’s exposure control is on the top of the camera. The Fuji Mini 8 is turned on by a small button next to the lens (by popping out the lens), whereas, the Polaroid 300 is activated by pulling the lens out. A 5th exposure setting called Hi-key is the feature that makes the Fuji Mini 8 a better choice as it is used to make the pictures brighter. And the Polaroid 300 lacks this particular characteristic. Both cameras use AA batteries to run. 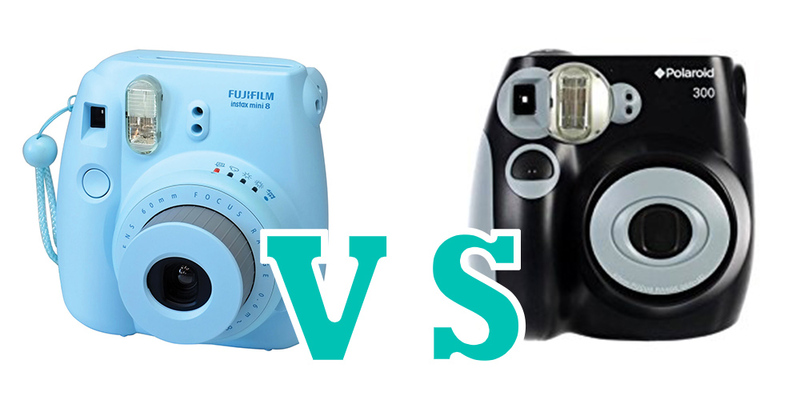 Polaroid 4 vs. Fujifilm 2. Even though the Polaroid requires more batteries, it still is unsure if the four batteries will last longer. If you are planning on printing any amount of instant pictures, then make sure you have extra batteries with you. Both cameras need the photo packs to be loaded. Ease of use is a big focus on them as they are recommended for ages 8 and up. Operating the Polaroid 300 might appear to be a little harder as it has more functions, whereas, the Instax is probably easier to manage as it is less functional. 2”x3”, or about the size of a credit card film is used in both cameras. Thus it is easy to keep them inside of wallet or different photo albums. The price is the primary factor that differentiates between films. You would think that Fuji’s Instax is a better choice as the Polaroid film costs roughly twice as its competitor. However, there is no need to be worried because films are interchangeable. So if you want that Polaroid 300, go ahead! (Just buy Fuji Instax). 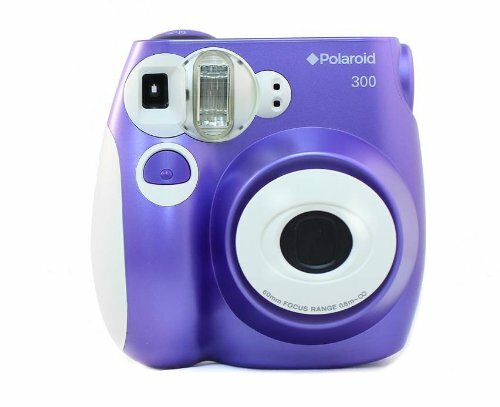 The Polaroid Camera is a little bigger and also has some variety of colors. Both cameras come with a variety of accessories including thicker lanyards, cases, and selfie attachments. These accessories do not work on the different models. Therefore, you may want to shop around and find which accessories you prefer. A 60mm focus with flash is installed in both cameras that adjust for different types of light. They are comparable to each other while the quality is not as fantastic as a digital camera. Fujifilm Instax lets you take the brighter picture with a softer look as it boasts a high-key mode. Its automatic exposure measurement signals the best aperture setting for the camera. This results in the best looking picture each time. The Polaroid 300 can also auto-adjust based on the light. You can also allow the picture to have more light as you’ll be able to compensate the exposure manually. With these particular features, the Polaroid is capable of having better picture quality in different environments. So now that you’ve understood the difference between both the devices, it’s time that you decide the device to buy. But the most important thing that you would want to know before buying one is the price. 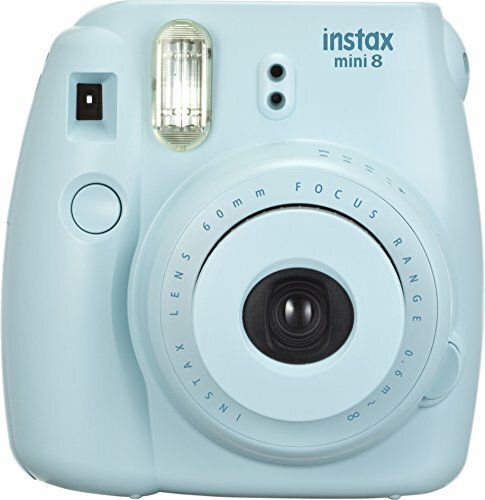 The Polaroid is a bit expensive option, while the Instax is the much cheaper option. 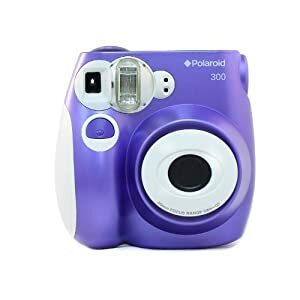 We can say that Polaroid costs more due to the additional functions and their brand name, while the primary roles of both devices are almost the same. The Instax may be the best choice for you if you don’t mind going off brand. The design of both cameras is very similar. They print the same size of film, take the same pictures, are both easy to operate, and require batteries. 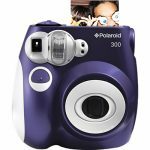 The Polaroid 300 is available in four colors, has more features, and costs more- as does the film. 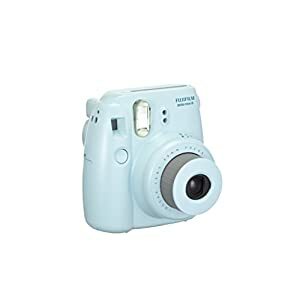 The Fujifilm Instax has eight available designs, is less feature rich, and takes great pictures at an affordable price. Have a look at both devices and decide which one you are more likely to get the best use out of.